This womens Disney print cami top features an iconic recurring Minnie Mouse motif. 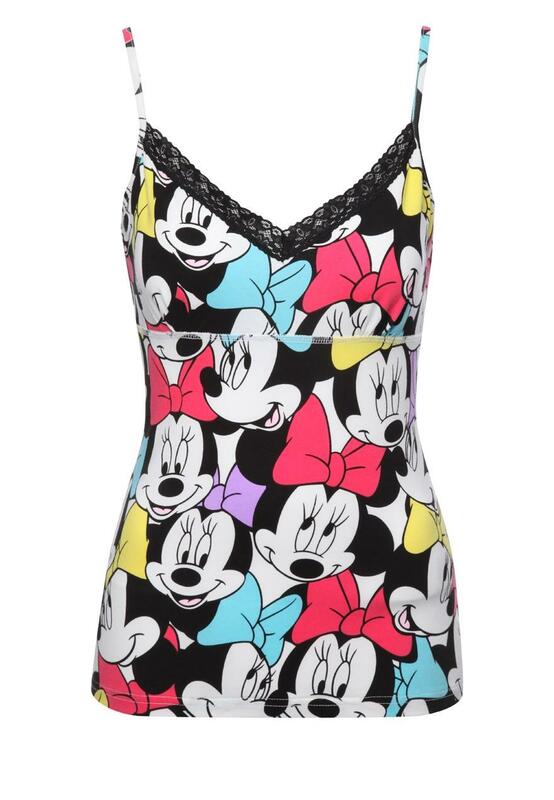 Famous for her long lashes and oversized bow this colourful retro design is perfect for grown-up Disney and Minnie Mouse fans alike. Also features a lace trim and thin spaghetti straps. A coordinating trouser is available separately.